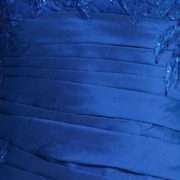 Irresistible IR4012 cobalt lace applique dress. 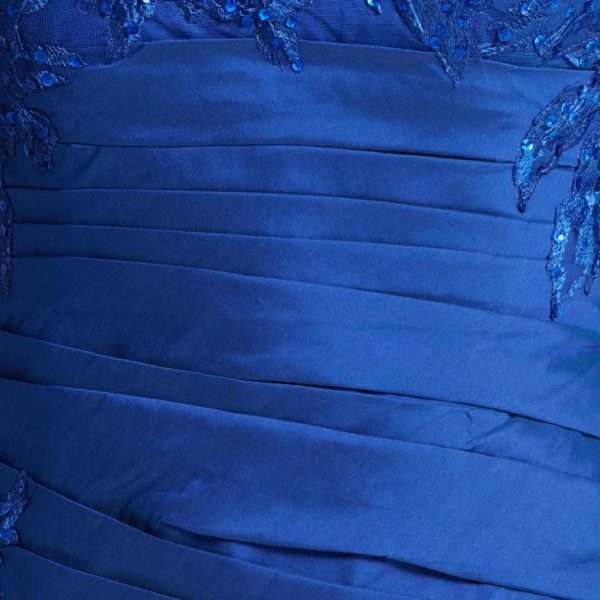 This stunning dress is classic and elegant and perfect for any Mother of the Bride or Groom who wants to look and feel fabulous. 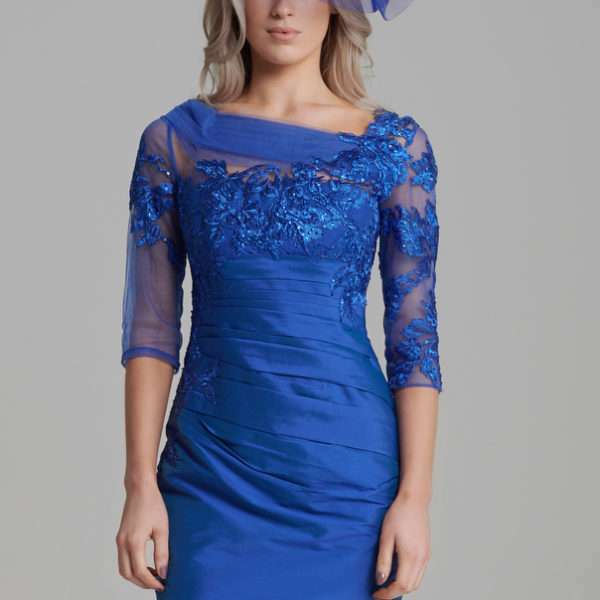 Features cobalt lace applique on the bodice and sheer sleeves. An asymmetric sheer neckline adds a touch of contemporary interest and the fully ruched skirt will flatter the figure. The skirt is pencil shaped with a modest midi hemline. The back has a concealed back zip with pretty covered button back detail too.